A comprehensive account of the physical foundations of collision and impact phenomena and their applications in a multitude of engineering disciplines. 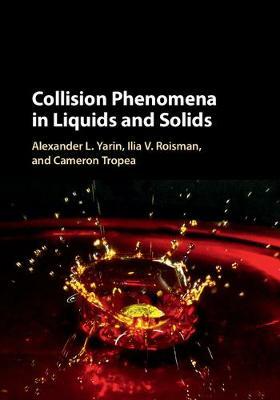 In-depth explanations are included to reveal the unifying features of collision phenomena in both liquids and solids, and to apply them to disciplines including theoretical and applied mechanics, physics and applied mathematics, materials science, aerospace, mechanical and chemical engineering, and terminal ballistics. Covering a range of examples from drops, jets, and sprays, to seaplanes and ballistic projectiles, and detailing a variety of theoretical, numerical, and experimental tools that can be used in developing new models and approaches, this is an ideal resource for students, researchers, and practicing engineers alike.